Through specialized classes, led by trained "social coaches," students are taught specific strategies, problem-solving techniques and social solutions to help them navigate more effectively through a complex social world. 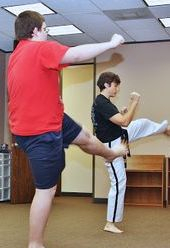 Classes focus on social "understanding" and life preparation skills through step-by-step instruction, role-playing, hands-on practice and interactive community outings. Classes are grouped according to age/grade and level of need and are limited to 4-6 students. Students of any age may also be seen individually if they are not yet ready for group classes. Fall semester classes run from late August through early November - excluding Labor Day. Spring semester classes run from late January through April - excluding holidays and spring break.